Knit City 2017 is almost here!! I'm super excited that Knit City 2017 is finally here! Well... almost :) Tomorrow is packing up the van day, Friday we drive to Vancouver in the morning and set up the booth in the afternoon, and in the evening - Stephen West!! So looking forward to hearing him speak! But Saturday..... that's the day I'm looking forward to the most because I get to see so many people! It's going to be crazy and busy and awesome! I'm taking a ton of yarn (of course!! ), but also all the project bags and One of a Kinds that I have, so if you see that they show sold out here on the site, it's because I've packed them up already. I'm also taking yarn bowls. Those of you who follow me on Instagram will have seen some pictures of them. They're amazing!! 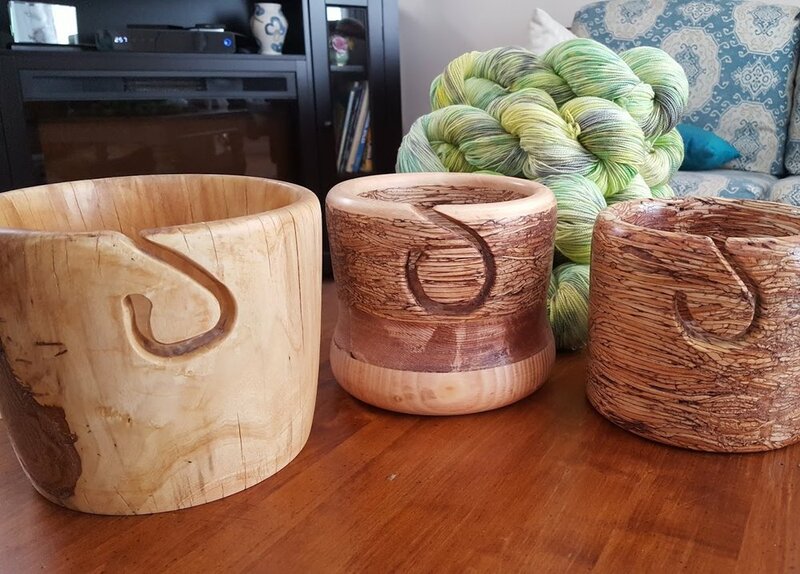 My dad makes them... hand carved wood yarn bowls. All unique. All made from various types of wood. 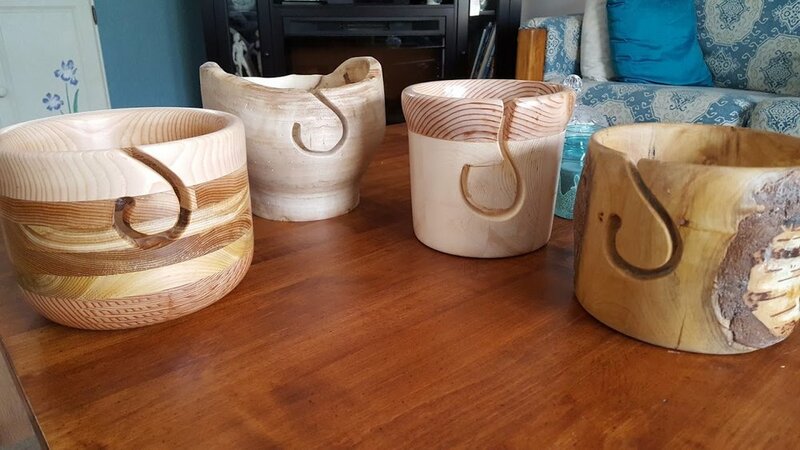 These bowls are a labour of love, and Dad has been working his fingers to the bone for months, but you can't rush art, so I've only got around 15 to take with me to Knit City. I'm fully expecting them to sell out based on the interest I've had already, but if I bring any home, they will be listed here on the site, as will new bowls going forward. It's a new direction for Isis Fibre Arts, and I'm super excited about it! That's is for today... I've got packing to do!! I'm going to try to post more often from now on. Blogging doesn't come easily for me, but I'll give it my best shot!